Thus began her journey as the mother of a child with schizophrenia. In the first part of Broken Pieces and the God Who Mends Them: Schizophrenia Through a Mother’s Eyes, Simonetta Carr tells the story of Jonathan’s illness. The rest of the book gives her reflections in the years since her son’s death, with input from psychiatrists, pastors, parents, and individuals with schizophrenia. 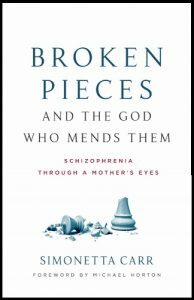 “With this book, I am hoping to encourage other parents and relatives of people suffering from schizophrenia and possibly from other mental illnesses—regardless of their religious convictions—as they keep reading, finding resources, and seeking help.” Because Simonetta’s faith permeates what she writes, Broken Pieces is a religious book nonetheless, and thus occupies an important niche in a world of secular books about schizophrenia and other mental illnesses. Broken Pieces and the God Who Mends Them begins with a detailed and moving account, appropriately titled “Through the Unknown,” of the years that Jonathan suffered from schizophrenia. He had always been a bright and sensitive lad, godly beyond his years and full of humor, but now he changed before his family’s eyes, becoming confused, fearful, and unpredictable. The family went from one crisis to another, seeking help, seeking safety, trying to understand what to do, trying to cope. Sadly Simonetta points out that this is not a ‘how to’ book but more of a ‘how not to’ book, reflecting the bewilderment and snap decisions that accompany any family’s care for the severely mentally ill. There is no expected path, every day one must navigate the unknown, and when one looks back so many decisions seem wrong. Caregiving choices must be made in the present, however, often without adequate information, and in emphasizing this fact Simonetta links arms with all those who love someone with serious mental illness. In “Part 2: Love and Courage: Support for Helpers”, Simonetta outlines many of the things she wished she had known earlier, from the importance of finding a good doctor to navigating the medical system and the various resource organizations. She discusses how families are of supreme importance to healing, the toll that mental illness can take on them, and what they can do. She also writes about the importance of work for the ill person, what the church can do, and how to keep things in perspective. 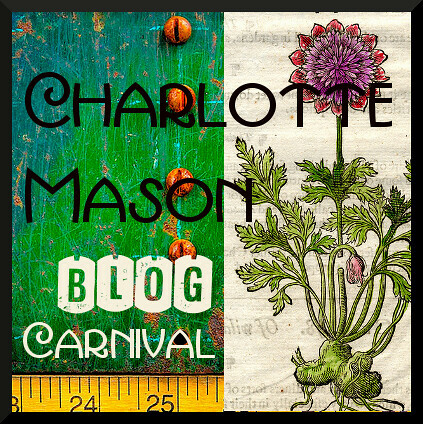 She carefully explores Christian ideas about mental health, drawing wise conclusions. Finally she lists ways we can all advocate for the mentally ill in our families, churches, and communities. With input from people with schizophrenia as well as relatives, patients, pastors, and professionals, Broken Pieces covers a wide spectrum of outcomes. Some of the people with schizophrenia have recovered and are very successful in ordinary terms, some are coping, and some have died. In all cases, they and their families have suffered enormously, and this book aims to provide encouragement and clarity to make this difficult road just a wee bit more manageable. The answer is not to eliminate thoughts or to resort to a stoic unattachment. It’s to put things into perspective. It’s to keep my mind on Christ, “the author and finisher of our faith,” and on his bigger plan. The balance, it seems, lies in accepting what God has placed in my path while doing at the same time what I know I should do to make things easier for my son and my family. It’s not easy, because emotions are strong. And in this way Simonetta Carr, an ordinary mom with a gift for words, brings us all into disintegrating world of schizophrenia. With stories, practical tips, and heartfelt faith, she helps us find comfort in God’s sovereignty. I highly recommend this book to all who know someone with schizophrenia—family, church members, pastors, friends, neighbors, and professionals. Trigger warning and comfort: Jonathan’s illness is described in haunting and memorable detail and may discourage some. However, it may help to remember that, although some people with schizophrenia die, 20-25% recover completely (no symptoms, return to previous levels of functioning) and another 20% are able to manage their symptoms and live full and productive lives. What’s more, Simonetta always points us to something even better than this, that we can trust that God always arranges things in the best possible way for those who love him, who have been called according to his purpose. 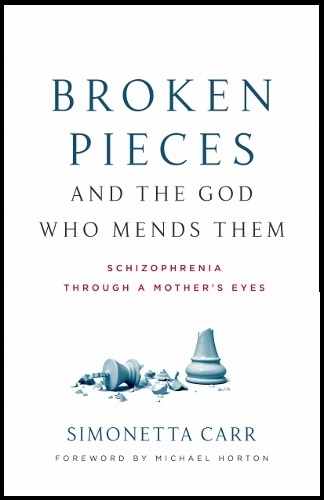 More information about Broken Pieces and the God Who Mends Them: Schizophrenia Through a Mother’s Eyes is available on Simonetta Carr’s website. Disclosure: I received an electronic review copy from P&R publishing and am giving my own honest opinions. 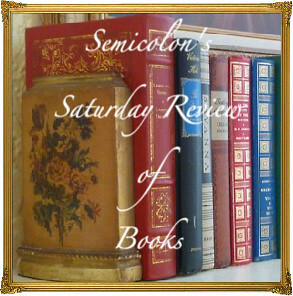 Posted in: 52 Books in 52 Weeks, Devotional, Health, Reviews, Reviews: Nonfiction, Reviews: Reformed. Thanks for reviewing this book. As someone who suffers from schizo-affective disorder with depression along with other OCD and anxiety; it is a blessing to find a Christian response to mental illness. I look forward to reading this book. You are welcome, Sarah. I pray that this book will bless you. May God be near to you and your loved ones on this difficult journey.